Exactly two years ago this week, during the end of July 2013, a team of archeologists from the URS Corp. began breaking ground at the Weccacoe Playground after receiving scholarly evidence about a burial site there. And the rest, as they say, is history. But before discussing that history, I must ask a few questions: What if 5,000 Italian or Irish or Jewish or Polish men, women, and children from one of the most pivotal periods of American history were buried in a cemetery in Philadelphia? Do you think there would be a city landmark or a state monument or a national treasure to honor it? Absolutely. But what if, instead, there were 5,000 African descendants buried in it? There would be no landmark, no monument, and no treasure. Quite the contrary, it would be a forgotten trash dump morphed into a city playground. 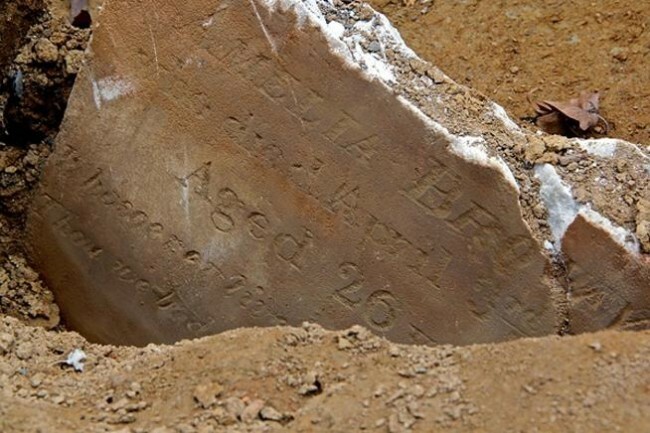 That’s exactly what happened — and is still happening in 2015 — to a former Black church cemetery. Despite that, as reported by a local newspaper in 1872, the refinery (as well as other white businesses) constantly “dumps rubbish… over the graves.” This caused the cemetery to deteriorate to such an extent that it could no longer function as intended. Therefore, it was sold in 1889 to the white city government that ignored it for a few more years before converting it into a city garden, beginning with the planting of saplings in 1901 and attaching a city playground to that garden around 1908. The Department of Recreation took responsibility of the park, known as Weccacoe, in 1910. The remains of more than 5,000 Black men, women, boys, and girls are still there. Previously included there was Richard Allen’s wife, abolitionist Sarah Bass Allen, and still included there is the family of Octavius Catto’s fiancé, civil rights pioneer Caroline LaCount. And so is Ignatius Beck. He was a free Black man who, like Solomon Northup of “Twelve Years a Slave,” was tricked, forced and sold into slavery. While enslaved, he helped construct the U.S. Capitol in 1789 and later became the chairman of the Free Produce Society of Philadelphia, which spearheaded boycotts against anything made by slave labor. Black Civil War veterans are also buried there. The names and brief biographies of nearly 2,400 of these Black men, women, and children are presently known, and research is ongoing regarding the others. Those currently known include, alphabetically, Elizabeth Abbot, who died of “tuberculosis” at age 22 in 1825, through Ann Zittman, who died of “lung disease” at age 32 in 1848. Chronologically, in terms of birth, they include Parker, whose first name and gender were not recorded, who was “stillborn” in 1812, through Phillis Garne, who died at 113 of “old age” in 1823. The problem during the past few years is that the white neighborhood associations didn’t give a damn about this historic Black site and the mayor’s office was dragging its feet. In fact, a project called “Green 2015,” a community and municipal plan from 2013 to turn 500 acres of underused land into green space, was ready to commence full speed ahead. And Weccacoe was selected as the park to become the plan’s first project, with “green renovation” grants from local and state government totaling $535,000. But that project called for playground renovations requiring excavations for sewer, water and electrical lines and the planting of trees. So what about the Black people buried there? I say to hell with “Green 2015!” We need “Black 2015!” And we need it to finally memorialize the literally buried truth about an undeniably sacred site. Although the Philadelphia Historical Commission and the Pennsylvania Historical and Museum Commission have issued favorable rulings regarding the site, the more than 5,000 historic remains are still under the trash dump and city playground with no official memorialization by the mayor’s office, despite repeated demands by activists. This article could not have been written if it were not for the dogged persistence and meticulous research of historian Terry Buckalew. He says he stumbled across this historic find while researching the life of local civil/voting rights giant Octavius Catto. You can read Buckalew’s enlightening information by logging onto https://bethelburyinggroundproject.com/. Two years ago, he profoundly described the burial site as “Philadelphia’s equivalent of Arlington National Cemetery in terms of its historic significance.” This week, he unequivocally proclaims that “Bethel Burying Ground is the greatest repository of African-American history in Philadelphia. The more than 5,000 buried on Queen Street were courageous pioneers in the most racist northern city in 19th century America. They were oppressed, persecuted, assaulted, buried, sold, and forgotten. Yet, research has shown despite all this, these women and men were able to weave a rich tapestry of family and community. The preservation of their remains and of their stories demand our best efforts.” Oh, by the way, did I mention that Buckalew is white? If you’d like to assist Buckalew and Certaine in ending this desecration, please contact Avenging The Ancestors Coalition at (215) 552-8751 and ask about its “Not Over Our Dead Bodies” committee. ← Thirty-year-old Charles Jones died this date, July 30th, in 1813 and was buried at Bethel Burying Ground.